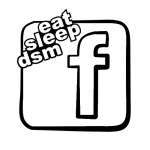 Hey iam new to this site, But not new to dsm's. 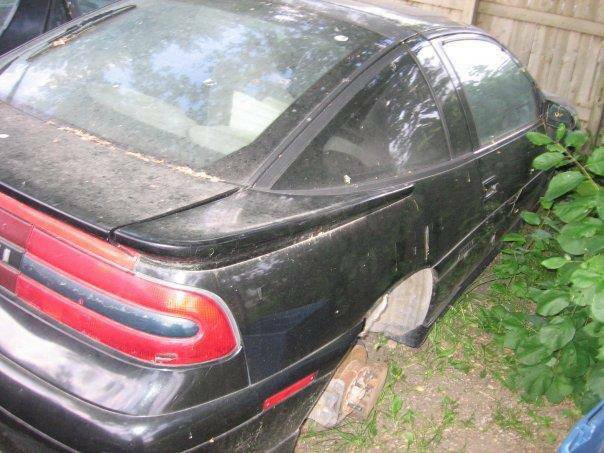 I have owned a 1995 Eclipse GS, 1992 Eagle Talon ESI. 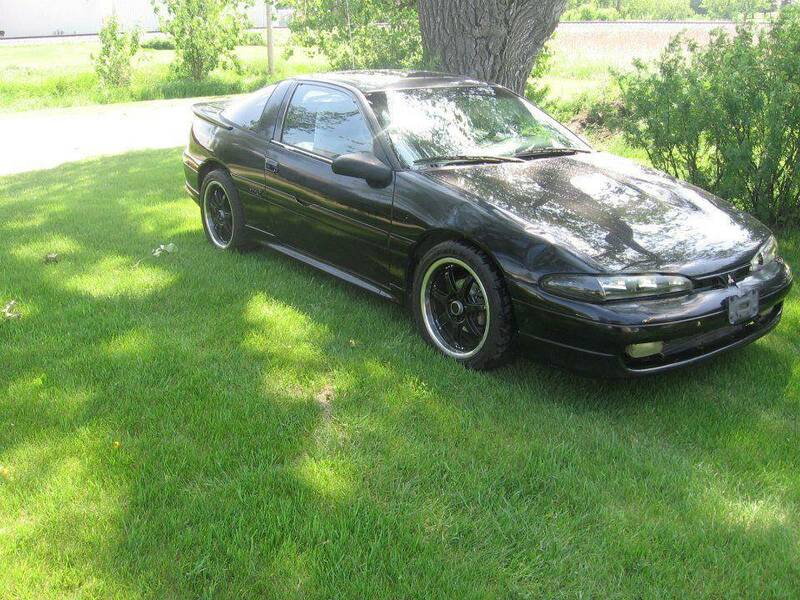 I now own a 1993 Eclipse GS. I bought the car back in 2008 after i graduated. I have been working on it off and on ever since. More off than on, Because I ended up moving and couldnt bring it with. But I moved back last year and started tearing into it. Heres a picture of what it looked like when I got it. Heres a picture of the old 7-bolt motor. Heres a couple pictures of what it looks like almost done. Thanx for looking. I hope to find alot of usefull information. Re: New from North Dakota. Damn! You sure came a long way. What all is left to do? Damn man looks good!! and what he said Whats left? Thanks guys! Well on thursday i put my non cruise control cable on new starter cables and looped my power steering. Iam just waiting till i get paid next, than i will be getting all new fluids and making sure their all topped off. i gotta bleed the brakes, clutch and get my gauges set up yet. Awesome. You should look into getting a manual steering rack from a 1.8L 1G that doesn't have power steering. It is a bit of a PITA to change, but it is a great mod if you delete power steering. Wish there was a manual rack for 2G's! Yah i have been looking for one around here, but their pretty hard to find here. i know one junk yard had like 10 1gs but he crushed them all last summer. In my area, they are fairly easy to find at JY's. Especially the 1.8L's that nobody wants. 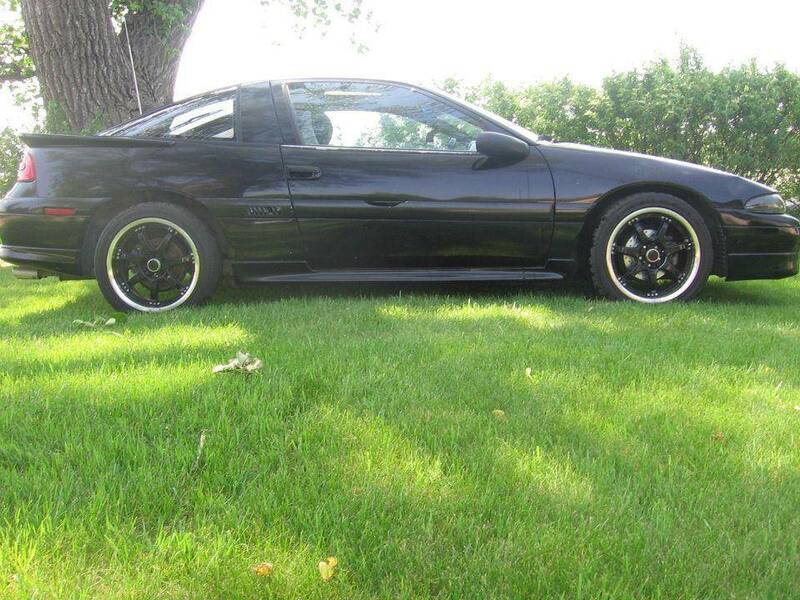 Ya i wish their was more dsm's around here. theirs only one other 1g, and thats the 1.8. my brother has a 1995 tsi awd, my buddy has a spyder 4g63t, theirs one 2nd gen 420a, and one evo in my town. Alot of the people here work on muscle cars. Yea it's either Muscle cars, Honda's, or VW's. Yep iam glad to be a little differant. haha. got any future plans for the car? Well once summers done i want to pull the motor and turbo it. 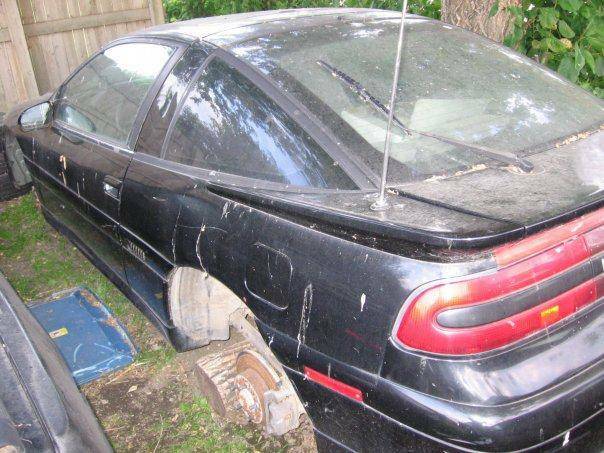 We have all the parts to do it, Because my brother had bought a 95 gst two summers ago. And after we found out their was a lein against it we stripped it all down. And he has a 95 tsi awd that hes rebuilding now. 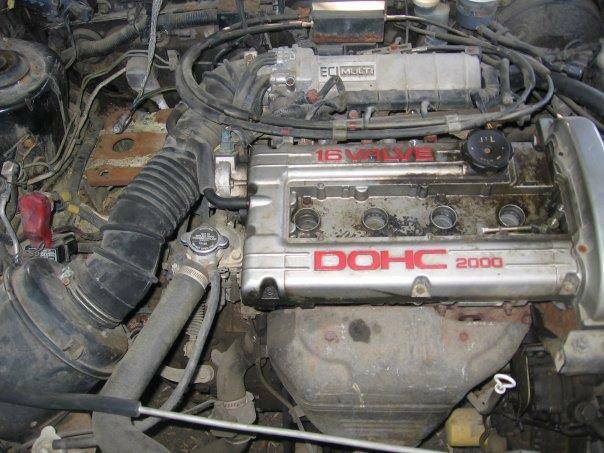 That he gave me the 14b turbo off of it so iam going to put a 14b on it with supporting mods. My goal is to make around 350-400hp. I also want to get full adjustable coilovers. We also picked up a tsi fwd transmission for free from one of our friends. if your shooting for 400whp, i would suggest going with something a little bit bigger than a 14b. something along the lines of a 16g, or a 20g. Well just for the time being i am going to run the 14b. should have specified haha. I just want to get it turboed and than start upgrading stuff. nice nice. well good luck with that project man! make sure and take your time doing everything. and In my opinion. if you don't have the money to do everything the right way, just wait for another week. Yea, saying you would make 350HP on a 14B is pushing it. A 16G can get you to 400 though. With supporting mods of course. AJracer33a wrote: Yea, saying you would make 350HP on a 14B is pushing it. A 16G can get you to 400 though. With supporting mods of course. The 14B is a good turbo though. 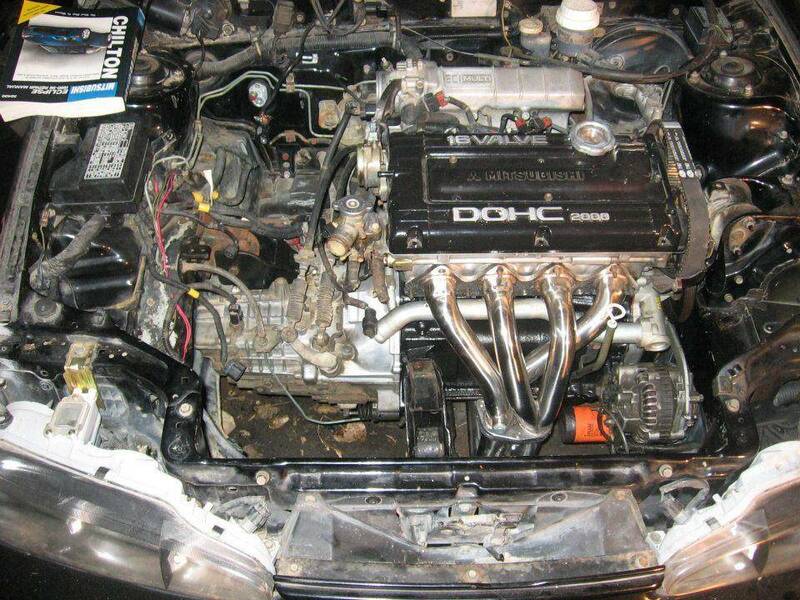 Like I have stated before, theres guys that run 11.6's with 14B's. They are great for DDing. Yah my cars only going to be a weekend cruiser. 93blackeclipse wrote: Yah my cars only going to be a weekend cruiser. sounds about what my GSX is gonna be ;p just of another caliber. Haha nice. Yah i just want to boost mine and show ppl that even 4 cylinders can also keep up with the v8s. Lol. Yah my dd is kinda slow and leaks quiet abit, but what do u expect from a 1995 lumina with 250,000 miles haha. holy crap, 250k? thats a ton of miles. It's a Chevy so it will last awhile. Dad's Chevy pickup had 463,000 miles on it when he bought it. Ran strong and everything. Motor has never been opened up. Haha yah she runs good juss gotta check fluids once a week. my dads 1997 ford f250 has around 500,000, but it also runs like it does. haha. Haha i am with u their! Never owned one and never will. cl1ckclack wrote: if your shooting for 400whp, i would suggest going with something a little bit bigger than a 14b. something along the lines of a 16g, or a 20g. And a little bit bigger injectors. Like evo 560's. That would be nice with a 16g . Push a little bit more boost.